I recently explored the historical reasons behind the creation of tax havens and the impact that they have had on international finance. In the second part of my blog I examine the response of the international community to the rise of tax havens or International Finance Centres (IFCs). It’s fair to say that the international response to tax havens has been mixed. I would argue that until the full effects of the global financial crisis took hold in 2008 tax havens were, if not welcomed, then certainly tolerated by international governments. However, as I described in my previous post, the rise of international terrorism, combined with the loss of significant tax revenues through the use of tax havens has brought the workings of offshore money firmly into the spotlight. The response from the European Union has been the most comprehensive to date. And with other global financial centres wedded to finance centres located in London, Paris or Hamburg, the EU’s requirements have had a spillover effect into other financial centres across the globe. Over the last twenty years the international community has slowly opened its eyes to the role played by IFCs and shell companies in facilitating money laundering and funding terrorism. The terrorist attacks that took place in the United States in 2001, and the subsequent “War on Terror”, may be looked at historically as the point where the international community decided to clamp down on illegal finance. Realising that the most effective way to stop criminals is to cut them off from accessing the proceeds of their ill-gotten gains, institutions such as the European Union have focused on strengthening regulations and enforcement. 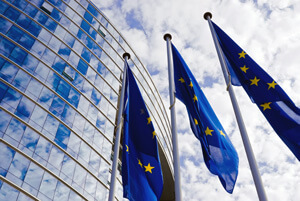 The European Union is recognised as leading the way when it comes to anti-money laundering regulation, and the most recent updates to the EU’s Money Laundering Directive focus heavily on shell companies and the identification of ultimate beneficial owners. The 4th EU Money Laundering Directive (4MLD), was passed in June 2017 and is commonly recognised as the most comprehensive to date. 4MLD called for all member states to create and maintain a list of company beneficial owners to improve transparency and support regulated firms in their due diligence activities. The UK has already compiled this register, and using legislation from the House of Commons, the Government decreed that a list of beneficial owners would also be required for Crown Dependencies. This has been met with anger from IFCs such as the Caymans and Bermuda, and at this time they are campaigning to have this Bill repealed. The 5th EU Money Laundering Directive (5MLD), adopted in May 2018, builds further on 4MLD by requiring that ownership registers for companies be made public by all member states. However, a recent report from Transparency International finds that progress among G20 members has been slow with 11 countries having ‘weak’ or ‘average’ beneficial ownership legal frameworks. Countries with weak frameworks include the US, Canada and Australia. As recently reported in the Guardian, the UK Government has released a draft bill that proposes jail sentences and unlimited fines to the offshore owners of UK property. This has come as a direct response to the UK, and in particular London, being cited as the “money laundering capital of the world”. This is reflective of a shift in public opinion whereby the UK public, having witnessed a decade of austerity at home, and more savvy to the world of tax havens courtesy of the Panama and Paradise Papers leaks, are turning against wealthy individuals and companies moving their money offshore to avoid tax. As I mentioned in part one of this blog, there have been public demonstrations against companies such as Amazon and Starbucks who have deliberately limited their UK tax liability. The Government has made considerable inroads in closing some of these loopholes, first through then Chancellor George Osborne’s “Google Tax” and also more recently, as seen above. 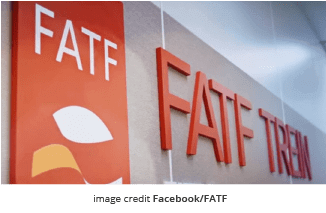 The Financial Action Task Force (FATF) have made it clear that, moving forward, financial regulations will continue to get stricter for all regulated firms, including banks, professional service and law firms, money markets and casinos. This will directly impact on the future of IFCs. Recent regulatory developments, including, 4MLD and 5 MLD, have a strong emphasis on the identification of Ultimate Beneficial Ownership and, following the revelations of the Panama and Paradise Papers leaks, public opinion has turned against the concealment of wealth. For UK Crown Dependencies it is likely that in forthcoming years we will see a power struggle between the court of public opinion, the UK Government and the Crown Dependencies themselves on opening up their books for scrutiny. When doors close, others will however open. The Guardian recently reported on the secrecy jurisdiction of Nevis, a tiny island with a population of just 11,000. While attention is focused on major players such as the British Virgin Islands and Caymans, other players, such as Nevis, will compete for the attention of international business. Moreover, despite public outrage focused on certain corporations, business will continue to lessen their tax burden through the use of IFCs, as will the “super-rich” group of individuals. If nation states or supra-national bodies, such as the European Union or Organisation for Economic Cooperation and Development (OECD), decide that tax havens are to be tackled, then they should set out the criteria for doing so. This should include describing what constitutes a tax haven, what the purpose of eradicating them is, and most importantly, ensuring that there is buy-in from all major global actors. A global response to a clearly defined global problem is the only solution.